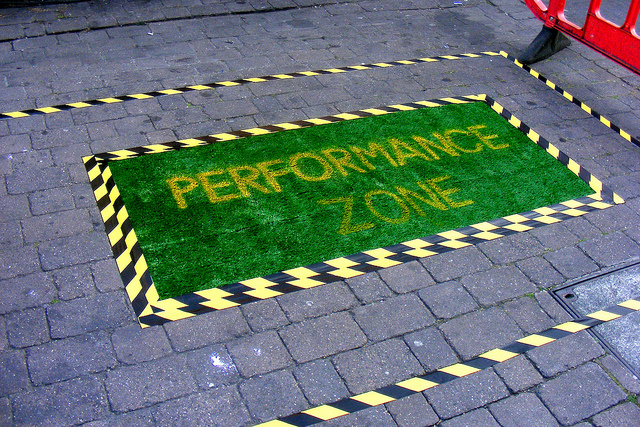 Back in August 2009, I spotted a posting on the online Space Makers Network from a Lambeth Council officer who was interested in doing something creative with empty shops. I grabbed Dougald Hine, the founder of Space Makers, and went down to meet him. 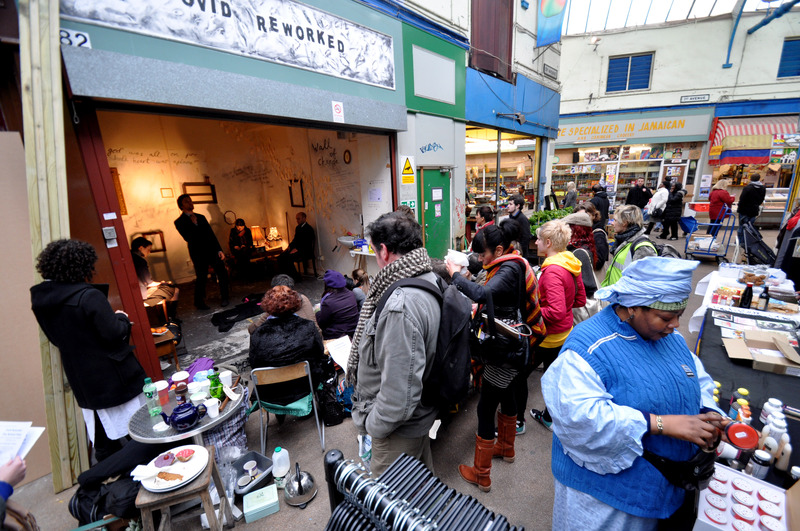 That was how we came to be introduced and was introduced to the property owners of Brixton Village indoor market (formerly Granville Arcade) who had 20 empty units that they were struggling to rent. The first time we visited the market I broke out in goosebumps as my body tingled with possibilities and that was how I became the Project Director, working with Space Makers to bring this wonderful space back to life along with an equally wonderful and inspiring team – Katrina Damianou and Flora Gordon. What an incredible atmosphere created by the beauty of the 1930s build and the echoes of its glory days, with the sharp contrast between the empty parts of the market vs the busy parts that bustled with shops selling meat, fish, toiletries, wigs, specialist grocers and restaurants. From the start, it was important to us to make sure that the existing tenants would also benefit from the additional footfall that the new projects would bring. 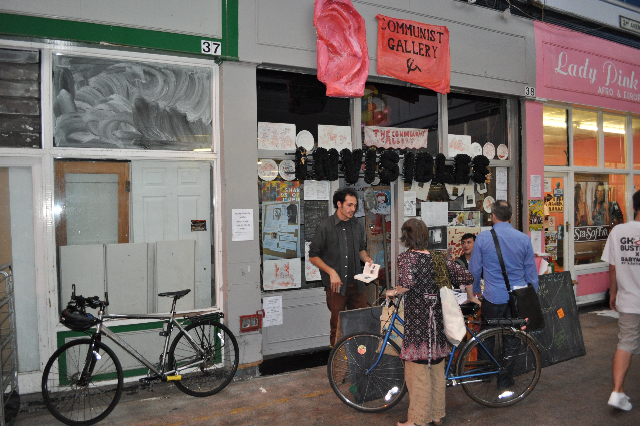 First, a competition for 3 months rent free was launched at a Space Exploration Night in November ’09 – 5 applications for every available space were received and by mid December the first tranche of creative, community and enterprising projects were up and running. There have been a series of temporary and test trade projects in the units ever since and 9 months later all of 20 the empty units have been permanently rented – success! Space Exploration Night - mid November 2009. 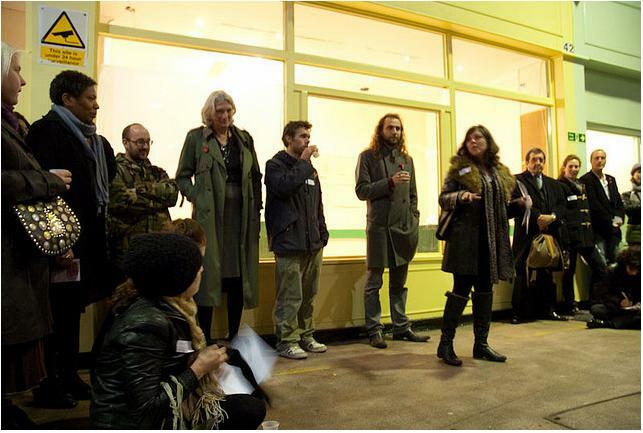 (left to right) Gail Rowe of Lambeth Council; Dan Thompson founder of the Empty Shops Network, Steph Butcher - the fabulous Brixton Town Centre Director, Matt Western of Space Makers, Dougald Hine founder of Space Makers, Me addressing the 350 strong crowd, Mike, Nicola & Neil of LAP - the market's owners. (Thanks to Sara Haq for photo). This project was always about the longer term sustainability of the market and bringing it back to its former glory as a key destination for the communit. 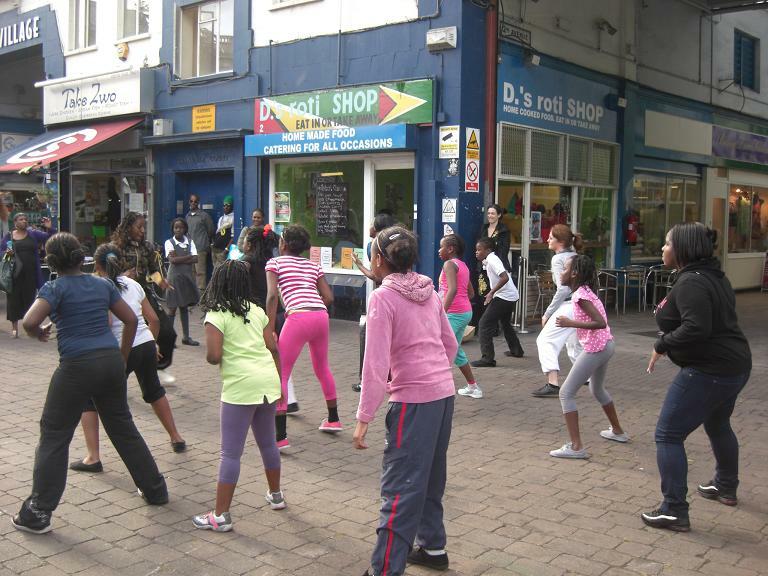 The vision was to make it not just a home for trade, but also a place to see performance – dance, music, theatre and a place to interact – meet old friends and make new ones – whilst taking part in all kinds of activities. Thus the program of event-based Saturdays began in January. 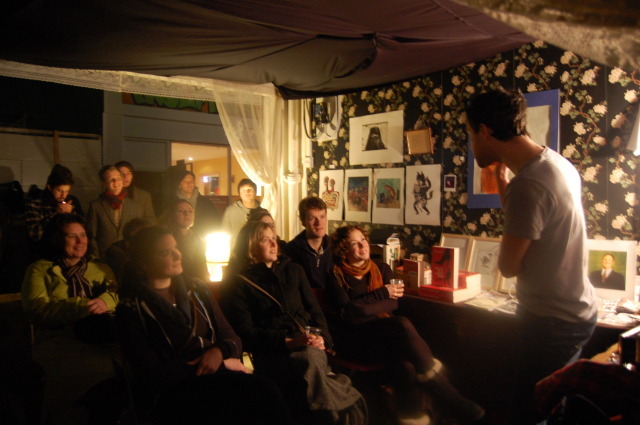 With huge buy-in from the community, both as visitors and contributors, and the need to drive more footfall for the new projects, late Thursdays were launched in April. The energy and enthusiasm of the young people involved. Another re-buff to the media image of students as moody, ungrateful and reckless! On this project I have met some incredibly bright, upbeat young people that have been appreciative of the opportunities that this has offered them and they have been the most responsible tenants! They were prepared to take risks and step in the unknown – an opportunity that is not offered to them in the formal educational structure. With my background steeped in innovation, we have been clear that this project does not know failure – only learning opportunities. I have found that with this approach and a lack of formal structure, people have been able to unleash their true creativity in a safe environment. They use social media like they were brought up with it (well they almost were) and are incredibly good at activating their networks to drive visitors to their projects, which also benefits the overall market project. They also use more traditional media, creating posters and some going out and about flyering the local area and their colleges. Many also attracted press to their projects. They also showed a strong social mindedness, wanting to be part of this larger project to re-establish the market, often forming strong relationships with other traders and taking part in overall market activities. This is a showcase of what happens when Digital Youth are given a real life opportunity. A young collective of writers, actors and designers brought the first theatre project to the market in an open fronted unit. 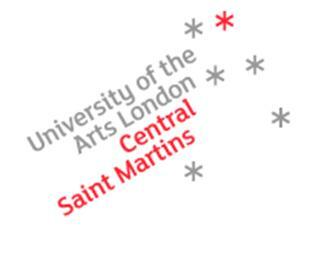 They challenge young writers, performers and theatre makers to experiment with all the ways it is possible to make, create and produce theatre. This was their first production as a group; they attracted over 300 people in 2 weeks and and media attention including an article in The Sunday Times. They achieved this not only through sheer hard work, but effective use of social media, online project documentation, the ability to engage their networks and to bring in locals by promoting out and about with flyers. Spring-boarding from this success, they continue to put on productions and are now recruiting for project managers! Ash carried out his work placement in the early months of the project and his photographs were published by Time Out and the Sunday Times. Over 2 weeks, approximately 25 young people from Lambeth participated in a 4 day course delivered by Young Enterprise London to learn the basics of setting up and running a business. They learned about everything from marketing and branding to product development and budgeting. Each group designed and made key rings and the course culminated with an opportunity to sell their products to members of the public at Brixton Village Market. “…We had a very successful time, with both teams selling all their stock within an hour and a half of arrival. The young people learned a lot about customer services and sales techniques and definitely seemed to enjoy the experience…” Rosalind Moody from Young Enterprise London. 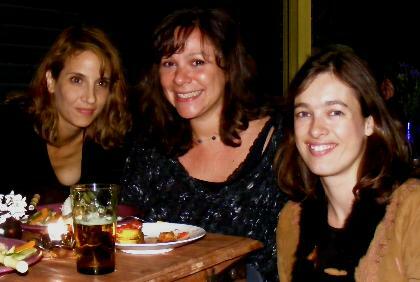 Rashida and her brother Hassan, were introduced to the project by Sofia Bustamente of London Creative Labs. Sofia works in Brixton with the objective of job creation – by the community and for the community. She finds dis-enfranchised people and helps them work on their bigger dreams working through practical steps to get them there. So she set up work placements with Sweet Tooth, the sweet shop, and Cornercopia, a locally sourced restaurant/deli. This enabled both the siblings to build on their CV and find jobs using what they learned about customer service and retail. 5. Wake Up Campaign – Viviane Williams, a student from Goldsmiths. “…Being given the opportunity to have a pop up in Brixton Village Market has allowed me to test my ideas/vision to the public, this has been rewarding, insightful and has given me more confidence to take risks, a true entrepreneurial attribute to test for a viable venture. By testing my vision, I have interacted with the local community and have formed great relationships. Through this, I have developed my social enterprise ‘Wakeup campaign‘ – stimulating people’s consciousness with the power of design such as role play – in this case as African Kings and Queens – to help bring social change. 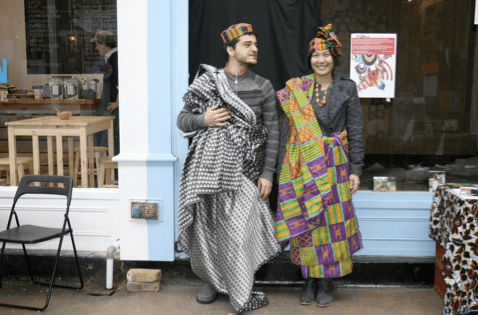 I have now won a few awards on behalf of the business and I feel this would have not been achievable without the platform of showcasing the idea in Brixton Village Market’…” Viviane Williams. Artinavan were the first group in – they had been one of the successful applicants for the initial 3 months rent free. Artinavan ran a series of incredible exhibitions that changed every few weeks. Positioned at a busy junction in the market surrounded by grocers, fishmongers and meat stalls, they played a key role in connecting the new projects with the existing traders in the market through their creative work. One of my favourite stories is the photo booth that they set up where they printed out about 2 foot high worth of photos of the traders and market visitors that they had taken during that particular activity and within 3 weeks, there were only a handful of photos left. It gave me a clear indication that all of those people had returned to the market and collected their photo. This is the story that I tell to show that a large number of people that visit the market enjoy the experience so much that they come back. They further showed how photographs can play a significant role in breaking down barriers and starting conversations. 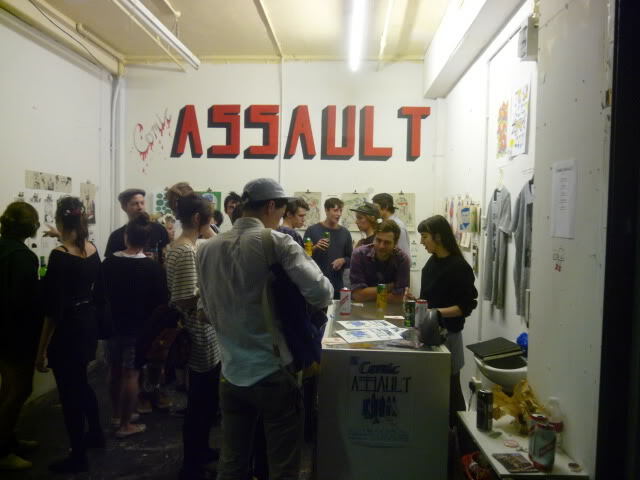 An exhibition created by the 2nd year Camberwell Illustration group – www.alteregodraw.com. This exhibition exclusively comprised work by the public and not just art students. It is a ‘live exhibition’ as the entrance fee was visitors drawing their alter ego. Local charity, The Baytree Centre, got the forecourt dancing one Thursday afternoon with their 8 – 13 year old dance troop. They presented some routines and workouts to passersby and encouraged everyone to join in. 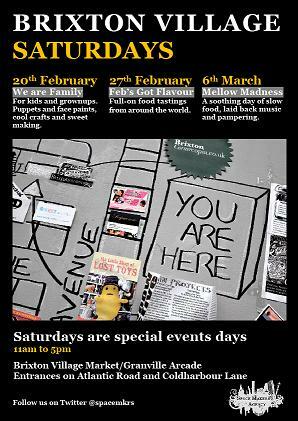 The Baytree Centre is 5 minute walk from the market. This was the upshot of my just turning up for an uninvited chat! In this post I have attempted to show how young people will pro-actively take up opportunities that we can offer them to gain real life learning experiences and how they use them to build up their own portfolio. It gives more fodder to challenge the negative media perception of teens and students. You can see how they use social media effectively to mobilise and extend their networks. I hope that it encourages you to create platforms for young people to engage with your projects and how doing so can also benefit your project and business objectives. Thanks to Andy Broomfield and Ash Finch for the majority of the photos!